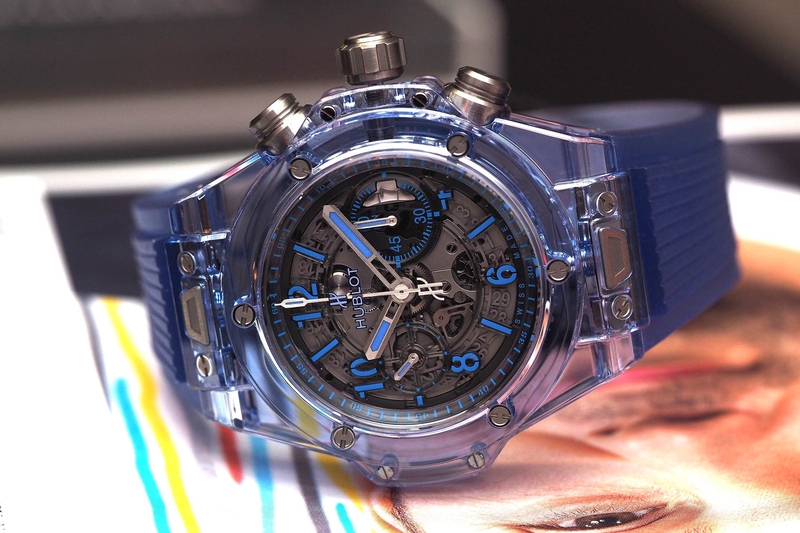 After partnering with Nubeo in 2009 to launch a line of watches, Kobe Bryant is at it again, this time, he is working with Hublot. 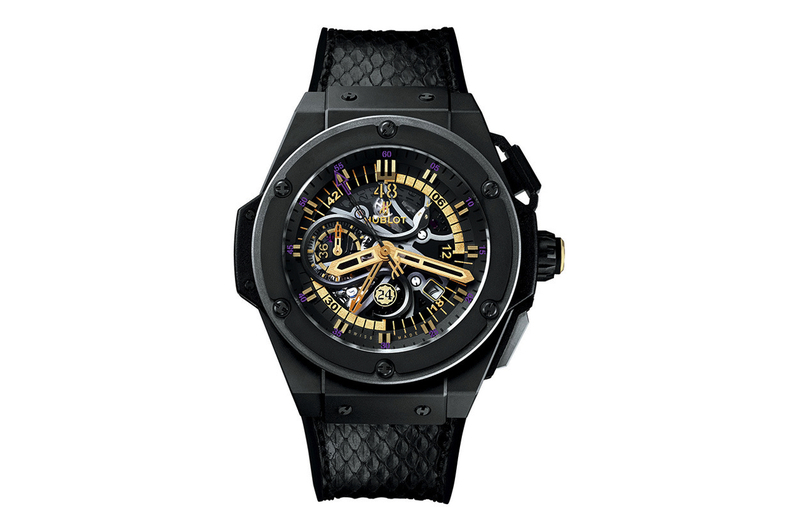 And instead of an entire collection built around Kobe, Hublot is producing a limited edition Kobe Bryant timepiece — the King Power Black Mamba. Kobe Bryant is one of the most successful and aggressive active NBA players, and so he has earned the nickname “Black Mamba” which is a venomous snake native to Africa — the fastest snake in the world — with a reputation for being aggressive. 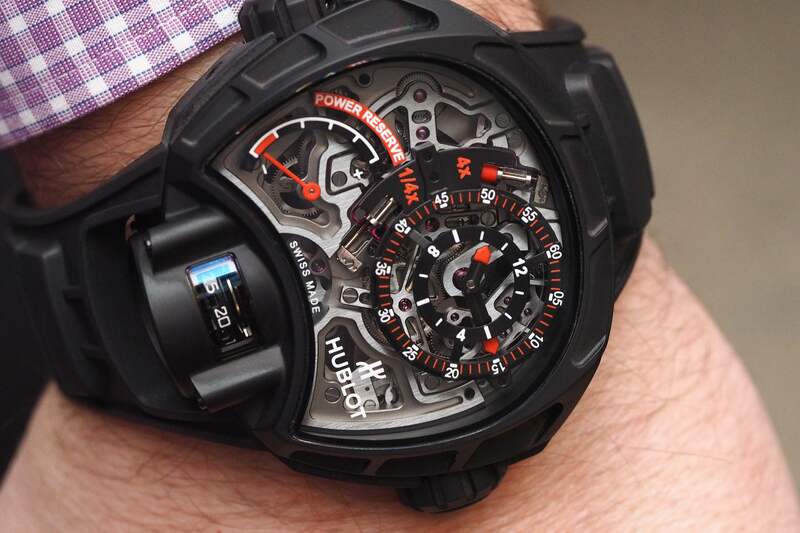 The King Power Black Mamba comes in a micro-blasted black ceramic case measuring 48 mm in diameter. The dial is complex with multiple layers. A silver colored snake that wraps around the counter at 9 o’clock. At 6 o’clock is the number “24” which represents Kobe’s jersey number. Inside is not just any chronograph movement, it is a split-seconds foudroyante chronograph movement. The bezel is in black micro-blasted ceramic with micro-blasted titanium 6 black PVD H-shaped relief screws. The crystal is sapphire with interior/exterior anti-reflective treatment and purple 0-60 indications on the glass. Bezel lugs in black composite resin. Lateral insert in black composite resin. Crown in black PVD titanium, with Hublot logo 3N gold 18K and black rubber insert. Push buttons 2H in black PVD titanium, rectangular in polished steel with black rubber inserts 4H in titanium satin-finished and “reset” engraved. Open case back in micro-blasted black ceramic with Kobe Bryant signature on the sapphire crystal. Dial with 4 zones of 12 minutes in black and gold indexes in satin-finished 3N gold-plated with black luminous paint “Snake” XXXXX micro-blasted black PVD. Hands satin finished 3N gold-plated hands with luminous material. Movement is self-winding with central 48′ counter, caliber HUB 4248. Date in a trapezoidal window at 4:30. 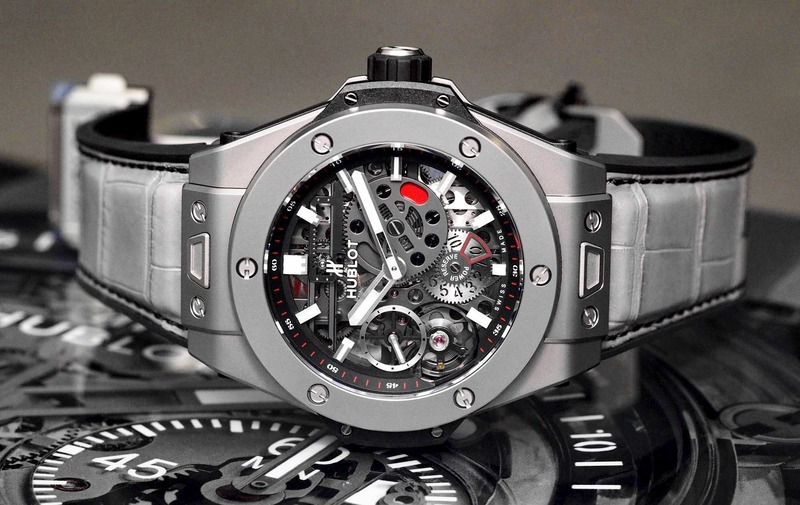 Power reserve is 42-hours, 28 jewels, 249 total components and a frequency of 4Hz (28,800 vph).